Is there a link between alcohol, anxiety and depression? We ask an expert. There's a reason you might feel anxious or depressed after a big night out. WARNING: This post mentions issues around substance abuse and mental health, and this might be triggering to some readers. It’s the day after a big night out and everything feels a bit… off. You’ve got that familiar persistent headache and general lack of energy, but maybe you’re also experiencing a creeping sense of anxiety, or perhaps you’re overcome with a sudden and persistent bout of low mood or depression. Although this can feel like it’s all in your head, or symptomatic of your greater mental state, anxiety and depression are actually very normal side effects of alcohol withdrawal, particularly if you’ve had a few too many drinks. Explaining the connection between alcohol, anxiety and depression, psychiatrist Dr Julia Lappin from the University of New South Wales, confirmed the link to Mamamia and says it’s important for people not to feel judged for this common reaction. “Alcohol acts as a depressant on the brain and it affects certain transmitters,” she says. 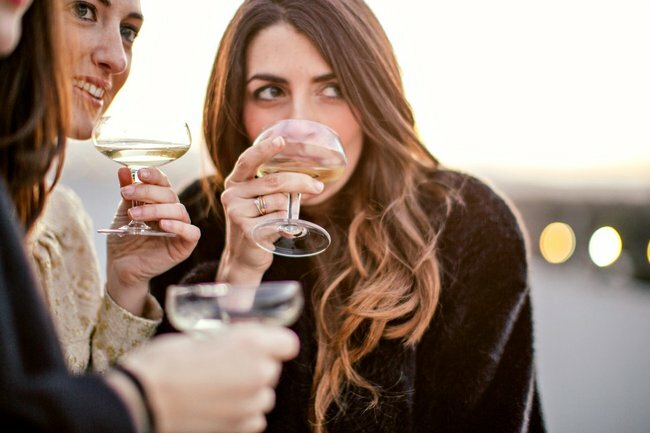 Furthermore, Dr Lappin says although alcohol is used as a “great relaxer in social situations,” if you’re prone to social anxiety, there can be a “bouncing back” of those suppressed chemicals as the alcohol leaves your system and that can lead to even stronger feelings of anxiety and low mood. What happens to your body after a year without alcohol? We explain the process from the day after and beyond. Describing the relationship as a “chicken and egg” scenario, Dr Lappin notes the problematic behaviour of some people when managing their anxiety with alcohol. “The anxiety sort of rebounds when you withdraw from alcohol, however problematic behaviour occurs when people start to drink more and more to help them manage,” she says. “Your body then gets used to needing more alcohol and that’s how you can get into a cycle of developing a dependency. It’s also important to note that this doesn’t just affect people with pre-existing conditions. “Even for people who don’t have a predisposition to anxiety, if you drink a lot as you withdraw from alcohol you can start to feel symptoms of anxiety,” Dr Lappin explains. “It’s really good for people to be aware of that link. 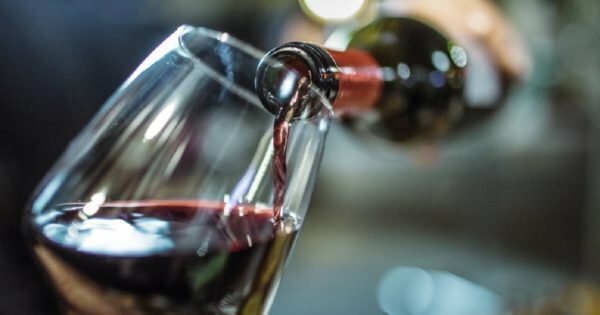 How does alcohol affect depression? 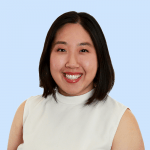 When it comes to the affect of alcohol on anxiety and depression, Dr Lappin notes these condition are very commonly seen together and like anxiety, drinking can also be used as a way to temper feelings of low mood. She describes the classic scenario of going home for a drink after a ‘bad day’ or having a glass of wine to ‘ease the pain’ or to ‘take the edge off,’ but once again, problems can occur when people start to “drink excessively or drink themselves into oblivion to try and forget about their problems”. “That same cycle of reinforcement can happen with depression where you’re drinking more to get away from the symptoms of low mood,” she says. “The more you drink, the more you need to drink, but actually the next day when you’re withdrawing from the alcohol, you can feel a real lowering of your mood. "The more you drink, the more you need to drink." Image: Getty. So, how much alcohol is considered a &apos;healthy amount&apos;? Quoting the Australian national alcohol guidelines, Dr Lappin says both men and women shouldn&apos;t be drinking more than two standard drinks on any day, and no more than four standard drinks on a single occasion, however given the festive season, we all know how easy it is to go above these limits. There&apos;s also Australia&apos;s avid drinking culture which can socially normalise excessive alcohol consumption and she notes this can make it difficult for people to identify problematic behaviours around alcohol, and especially when drinking goes beyond being a part of their social life. "It&apos;s more important than ever for people to be thinking about how much they&apos;re drinking and trying to have a few alcohol free days," she says, mentioning the trick of alternating an alcoholic beverage with every other drink. "Be aware of how many nights a week you&apos;re drinking and try to plan around that. If you know you&apos;ve got a night out then don&apos;t have the glass of wine or the beers at home which could be avoided," says Dr Lappin. "Experts say having drink free days are a really good way to stop your body from becoming dependent on alcohol. If you start get into the habit of drinking every day, your body very quickly needs a drink everyday." How do you know when your behaviour around alcohol becomes problematic? While it can be easy to overindulge during the festive period - which can result in a few more sore heads in the mornings than you would like - Dr Lappin acknowledges that issues regarding alcohol consumption often happen "very gradually, often developing over a period years". Despite this, she says there are warning signs to look out for. "Maybe you&apos;re the one who always finishes your drink first and thinks everybody else is drinking very slowly," she says. "Or perhaps when it&apos;s your round you&apos;re going up and getting yourself an extra spirit to knock back while everyone else is having their drink." She also says a definite warning sign is when alcohol starts to interfere with your work and relationships and if you notice you&apos;re prioritising drinking over activities you previously enjoyed, like hobbies. "Other things people notice is if friends and family suggest to them that they&apos;re drinking too much and they respond with anger, or if they themselves want to cut down on drinking or feel guilty about how much they&apos;re drinking," she says. "And if you get to the point when you&apos;re waking up in the morning and feel the need to get something to take the edge off, then it&apos;s a clear, big sign that you need to have a serious look at your drinking." However, when it comes to reaching out for help on issues relating to alcohol dependency, addiction or mental health, Dr Lappin stresses the importance of not fearing you&apos;ll be judged, and encourages people to seek medical advice. "People often go and seek help for depression or anxiety, but if you think alcohol is contributing to that, then try to get help for both at the same time," she advises. "It will make the treatment much more effective." If you think you may be experiencing depression, anxiety or another mental health problem, please contact your general practitioner or in Australia, contact Lifeline 13 11 14 for support or beyondblue 1300 22 4636. Have you ever found yourself with a &apos;depression or anxiety hangover&apos; after a big night out? Share your experiences in a comment below.